The first step in the project was to obtain the necessary drawings, which were sourced from the Great Eastern Railway Society and the National Railway Museum. Original drawings have since been converted to the AutoCAD system. Our first base for construction was in a converted barn at a site in Ovington, North Essex, which we moved into during Autumn 2003. Since then, some small components, such as smoke-box door handles, cab window coal guards etc. have been fabricated. During 2004 and 2005. the valences and buffer beams were completed and assembled; patterns have also been made for the leading and trailing radial wheels. The Trust was granted corporate membership of the Heritage Railway Association in March 2004. Alongside other projects at Ovington, we made progress and were even to have the ‘face’ of the engine cosmetically assembled. 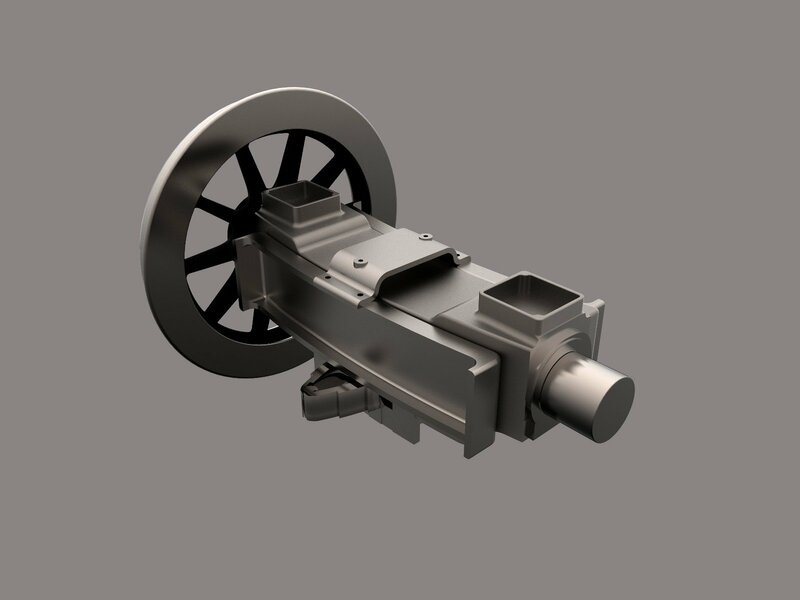 In Spring 2005, the pattern for the leading and trailing radial wheels was completed. The bufferbeams and valances were constructed in the same year. The original plan was to reconstruct BR No.67218 as she was withdrawn from service on the Epping to Ongar route, where it is was then hoped to base the engine on what was then a fledgling heritage route – in 2013, it was agreed that the striking GER livery would make the locomotive visually more attractive, standing out from the plethora of BR-livery locomotives currently operating in preservation. 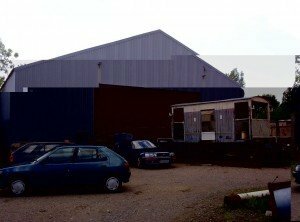 In 2012, the owner of the site at Ovington announced plans to develop the land, and a new home was required. 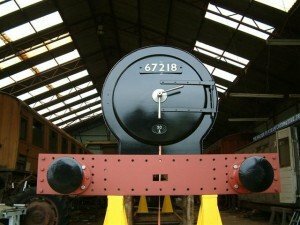 By May, all the equipment and locomotive parts were loaded onto lorries and delivered to Mangapps in Burnham-on-Crouch, were 67218 (as she was still identified as then) was based up until January 2014, when the warehouse being used to store the build was in need of major works. An agreement was reached with Tyseley Locomotive Works for the project to become based there, and we were fortunate enough to secure guidance of Bob Meanley, the Chief Engineer employed there. 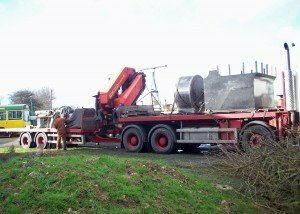 With a stop to drop off donated equipment at North Weald, on the reformed heritage Epping Ongar Railway, the move was completed on Tuesday 28 January 2014. Since then, all our parts have been stored on site, with any required work being fitted in around Tyseley’s contracted jobs. 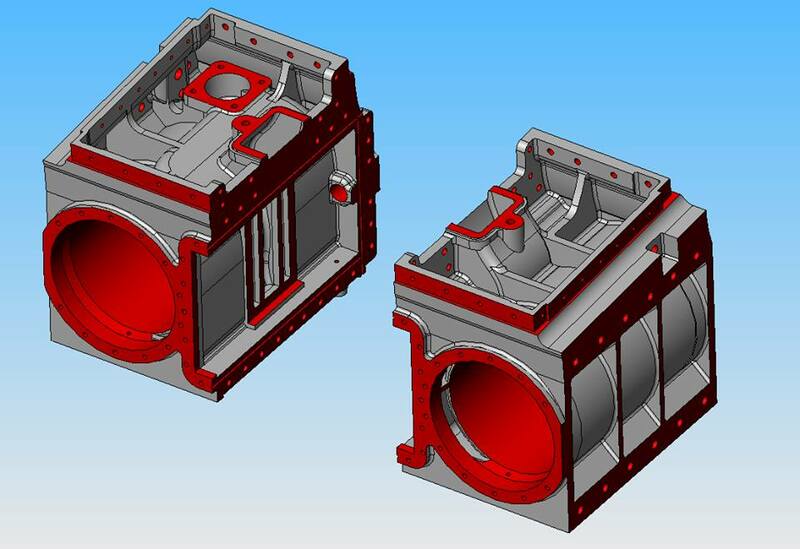 Throughout 2014, various CADs were produced to show the frames, star stay, and cylinders; the latter were originally a single solid casting, however it was suggested that it should be done as a two-piece cast to aid machining of the valve port faces. 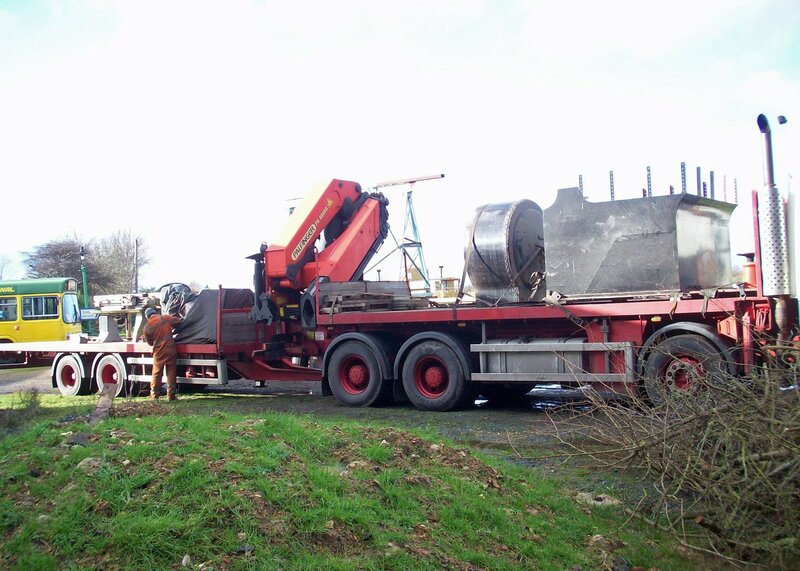 In September that year, Premier Patterns & Castings commenced casting the tank support brackets and star stay, with completion of these and commencement of cylinder block patterns at the start of the following month. 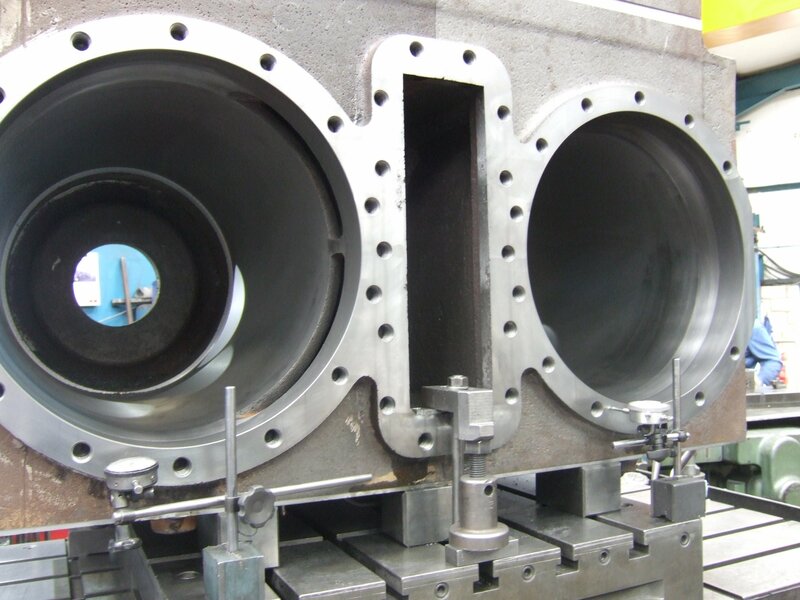 By November, the two halves of the cylinder block had been cast, and they were sent for machining at Harco Engineering; this was completed in June 2015. 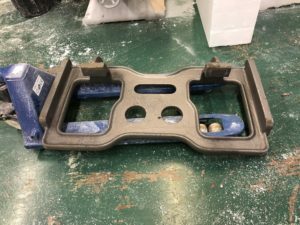 Currently, all of the completed parts remain stored in Birmingham; with limited space available in the workshops, Tyseley have been unable to construct the frames without assurance that they can be moved elsewhere once completed. Discussions are presently ongoing with a new base, but this doesn’t signal the end of our relationship with the Locomotive Works, and we intend to continue working with them as the build of GER 789 progresses. In the meantime, attention has turned to fundraising for the casting and machining of the wheels in the hope we will be able to present a rolling chassis to the world within the next few years. 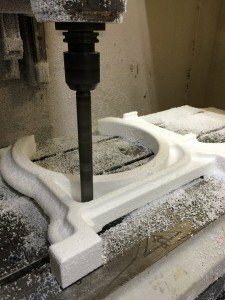 Other CAD work has been undertaken, including work on the journals, and designing new radial trucks and Stephenson’s valve gear from scratch. The pattern for the motion bracket was also produced, with the casting completed in January 2018. There is still much left to do, not least the boiler and associated pipework. If you would like to become involved in completing GER 789, you will be made most welcome. Click here for more information on how to support us.